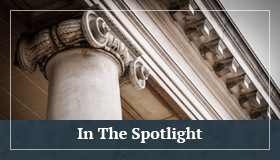 Follow the Rules: Failure to Serve a Ten Day Demand Letter will Bar Workers’ Compensation Carriers from Pursuing Subrogation Claims Against Third Party Tortfeasors | Golden Rothschild Spagnola Lundell Boylan Garubo & Bell P.C. In a recent unpublished decision, the Appellate Division in New Jersey held that a Worker’s Compensation carrier’s failure to serve an injured worker with a letter demanding that he file a third party action precluded the carrier from filing its own subrogation claim against the third party tortfeasor. Morris Cnty. Mun. Joint Ins. Fund v. Watersedge Design Grp., A-5559-15T4 (App. Div. January 12, 2018). Michael Blewett (“Blewett”), a firefighter employed by the Borough of Mount Arlington, was injured on September 30, 2013, while extinguishing a fire on property owned by Watersedge Design Group. Blewett filed a Worker’s Compensation claim and received over $44,000.00 in benefits from the Borough’s insurance carrier, the Morris County Municipal Joint Insurance Fund (“JIF”). Blewett did not initiate a third party claim against Watersedge, and the JIF never demanded that he file a third party claim. On September 28, 2015, days before the Statute of Limitations expired, the JIF filed a subrogation claim against Watersedge. Watersedge responded by filing a Motion to Dismiss alleging that the JIF failed to comply with the requirements of N.J.S.A 35:15-40(f) (“Section 40”). Section 40 of the New Jersey Workers’ Compensation Act permits injured workers to seek damages from liable third party tortfeasors. In the event that the injured worker receives a judgement or effects a settlement, the Worker’s Compensation carrier is entitled to reimbursement of the medical and indemnity benefits paid less its share of costs and fees. If an injured worker has not filed suit or effected a settlement within one (1) year of the accident, the insurance carrier can send a letter to the injured worker demanding that he take action. Ten (10) days after the written demand is served, the insurance company can initiate the third party proceedings on the injured worker’s behalf. Watersedge argued that the JIF failed to serve the ten-day demand and did not file its action in Blewett’s name. In response to Watersedge’s Motion, the JIF amended its Complaint to name itself as subrogee for Blewett. The JIF conceded that it did not serve Blewett with the ten-day written demand prior to filing suit. In order to cure the defect, the JIF procured and submitted a signed certification from Blewett in which he waived his own right to file a third party action and consented to the JIF proceeding in his name. The certification was dated April 18, 2016, after the expiration of the Statute of Limitations. The Trial Court granted Watersedge’s Motion to Dismiss. The Court noted that the statutory right to subrogation required the JIF to serve the ten-day demand prior to filing suit. As the right to subrogation is statutory and contrary to common law, the statutory requirement must be strictly enforced. The failure to serve the demand letter was fatal to the claim. The JIF could not cure the defect by obtaining a waiver from Blewett after the Complaint was already filed. Furthermore, the statute of limitations had passed. Blewett no longer had the right to file an action; therefore, he no longer had the ability to waive his right to file an action. This rendered the waiver invalid. The JIF appealed to the Appellate Division. It argued that the Trial Judge erred in ruling that Blewett could not waive the ten-day written notice requirement after the filing of the Complaint and the expiration of the statute of limitations. The Appellate Division disagreed and upheld the Trial Court’s ruling. The Appellate Division noted that, “[Section 40] creates a right to subrogation ‘that does not arise and cannot be exercised by the Worker’s Compensation carrier until ten days after a written demand is made upon either the injured employee or his dependents.’” Errickson v. Supermarkets Gen. Corp, 246 N.J. Super 457, 464 (App. Div. 1991). As the JIF never served the ten-day demand on Blewett, it did not have the right to initiate the third party suit. The Appellate Division went on to address late certification in which Blewett waived his right to file a third party action. 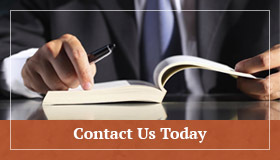 An injured worker can waive the ten-day written demand requirement along with his right to file a third party suit. Id. at 465. For the waiver to be valid, the carrier must notify the injured worker of his right to bring a third party action; notify him of its intention to file the action if he fails to proceed; and finally, explain to him the rights of each party with respect to the action. Poetz v. Mix, 7 NJ 436, 448-49 (1951). After having been fully notified, the injured worker can waive his right to file a third party action and consent to the carrier proceeding on his behalf. If the carrier satisfies these requirements, the carrier can initiate a third party suit without having to first demand that the injured worker file his own. The Appellate Division found that the waiver in Blewett’s late Certification was invalid and did not comply with the Statute. There was no evidence that the JIF had ever notified Blewett of his rights prior to filing its Complaint. Furthermore, and as noted by the Trial Court, an injured worker can only waive a known and existing legal right. Van Allen v. Bd. of Comm’rs., 211 NJ Super. 407, 410 (App. Div. 1986). As the statute of limitations passed prior to Blewett signing the waiver, he no longer had an existing legal right against Watersedge to waive. As a result, the JIF’s case was dismissed with prejudice. This case serves as a caution for workers’ compensation carriers, third-party administrators, self-insureds, and defense counsel: Failure to adhere to the strict notice and time requirements of N.J.S.A 35:15-40(f) of the New Jersey Workers’ Compensation Act can be fatal to a subrogation claim against liable third party tortfeasors. Had the parties in this case followed the requirements of Section 40, they could have obtained a valid waiver and had the opportunity to achieve a more favorable outcome.